At RE/MAX Classic, we are focused on leading the economic recovery of the housing market in Southeastern Michigan. Embracing foreclosures and REO properties is not optional; it is a necessity. We are committed to the hard work, knowledge and skills to successfully assist homeowners in distress. 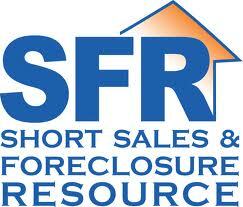 As a Short Sale Foreclosure Resource Specialist, I specialize in working with homeowners who are facing or are in the process of foreclosure. I am an advocate for families in need of a professional, knowledgeable Realtor to help them through the issues they are facing. It is imperative that you DO NOT let your home go into foreclosure. There are options you can take. When a homeowner owes more on a property than it is currently worth and the bank agrees to accept an amount less than owed as payment in full, a Short Sale may be an alternative. This amount takes into full consideration all accrued interest, taxes, principal, title transfer and marketing costs. A Short Sale is complicated. I have been trained to professionally advise and assist families through the process. Families need a professional who is willing and able to negotiate, properly prepare documentation, provide factual real estate data and marketing materials to portray our Michigan Real Estate market so lenders are able to make timely decisions to resolve the pending foreclosure. Please give me a call if you are in need of assistance. I hope to help as many famiilies as possible avoid the devastating consequences of a foreclosure.